We're not lion! You can give and give back at the same time. Get the perfect gift or holiday accessory for your home while supporting the arts and featuring our favorite feline! Our iconic lion sculptures by Edward Kemeys (American, 1843-1907) have guarded the museum's entrance since it opened for the 1893 World's Columbian Exposition. Read on and see suggestions to help you make merry and support the museum's mission as we roar through the holiday season. 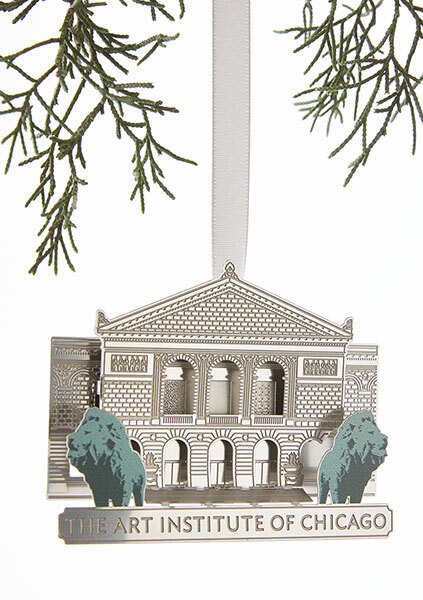 The purrfect decoration for your tree is the latest addition to our lion collection. The Art Institute of Chicago Façade Ornament features the intricate detail of the museum's architecture, finely etched on stainless steel along with our prowling pair. 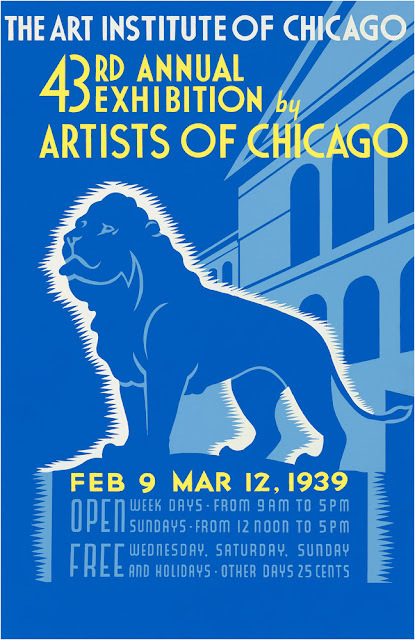 Help your mane human wear their support of the Art Institute of Chicago in style. 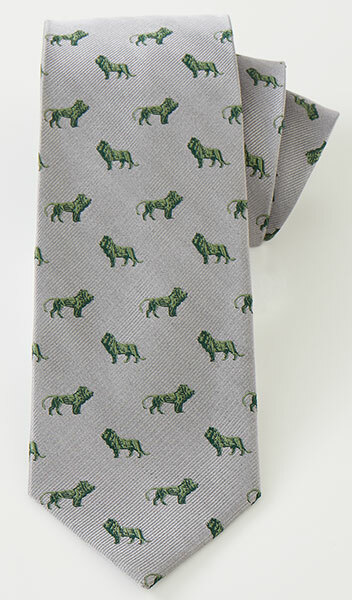 Sage lions alight on a woven silver background to adorn our 100% silk tie. Meow! Love attention to de tail? 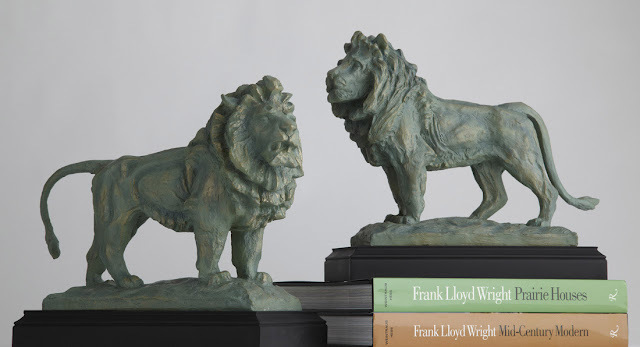 Our cast poly resin Lion Bookends feature one with a tail up and other with tail down, reflecting our defiant guardians out front! Finally, celebrate local pride. Add a piece of art history to your home with our replica of an 1939 Art Institute of Chicago exhibition poster featuring a printed image of our lion. The holidays are here and there's no time for lion around. Snap up these icon-inspired items and support the arts with your purchase. Happy Holidays from the Museum Shop!